In music, it’s almost impossible to go a day without hearing about a song premiere on a culture blog from an artist you’ve never heard of. With this influx of information, you’re probably subconsciously taking in these names that are being tossed left and right at you. Some of these band names or monikers are, naturally, more memorable than others. In recent years, we’ve noticed a number of band names that play off real people (or seemingly real people), whether in the form of a pun, spoonerism, or portmanteau. Here are 10 acts we’ve found following this pattern. Consisting of longtime friends, Michal Palmer, Adam Honingford, and Ryan Wansley, The Bilinda Butchers are a dream pop trio based out of San Francisco. They take their name from legendary My Bloody Valentine guitarist, Bilinda Butcher. Infusing atmospheric undertones with elements of shoegaze and house, The Bilinda Butchers have been experimenting with genre-bending for years. So far, the band has released two EPs, and a full-length album entitled Heaven. Currently based in Asheville, N.C. Elvis Depressedly is the cathartic pop recording project of vocalist Mat Cothran, multi-instrumentalist Delaney Mills, and close friends. In 2015, they released their full-length debut LP, New Alhambra and toured the country extensively with artists such as Mitski, Eskimeaux, and The Front Bottoms. Los Angeles-based bedroom pop artist, Rachel Levy, records under the name R.L. Kelly, a synthesis of her initials and the moniker of R&B recording artist, R. Kelly. In the past, she has done splits with artists such as Alex G and Spencer Radcliffe and released her music through the Brooklyn-based cassette label, Orchid Tapes. Michael Collins seems to have a way with puns. He first went under the moniker Run DMT (like Run-D.M.C., get it?) until legal issues arose and then switched his project name to Salvia Plath. This time, Collins toys with the name of 20th century novelist Sylvia Plath. Even with the name switch, Collins kept his psychedelic influences the same, as is quite apparent on his 2013 release, The Bardo Story. Tom Cruise, Com Truise. An easy slip of the tongue will bring you to the subject of East Coast producer, Seth Haley. Consistently incorporating synth and qualities of chillwave into his sound, Haley has made a name for himself in the electronic music scene with a over a decade’s worth of original material and remixes. Com Truise’s new EP Silicon Tare drops April 1. Drawing influences from acts such as The Velvet Underground and My Bloody Valentine, shoegaze troubadours Ringo Deathstarr take their name from The Beatles beloved drummer Ringo Starr with some Star Wars fandom thrown in for fun. Most recently, the band released a dreamy full-length album entitled _Pure Mood—perfect for fans of A Sunny Day in Glasgow and No Joy. The Pink Floyd-referencing Pink Freud is actually a jazz quartet hailing from Poland. Since 1998, the group has incorporated elements of avant-garde electronica to folk into its recordings, thereby challenging traditional improv techniques. 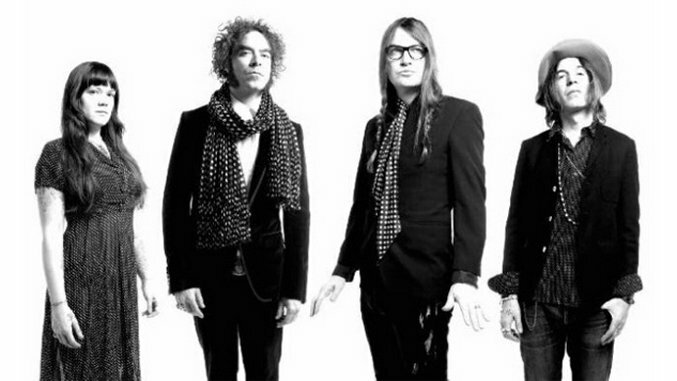 Last but not least, we have to include the Portland band who brought you “Bohemian Like You” and “We Used To Be Friends.” Referencing Andy Warhol in their name, The Dandy Warhols have been around providing you the perfect dose of psychedelic pop since 1994.